Can I Refold a Nectar Mattress? You cannot refold a Nectar Mattress after it has been unpacked. The Nectar shipping process includes vacuum sealing a mattress and allowing 24-72 hours for it to expand to its size. It’s not a good idea, and we can help you come up with other ways to figure out what you need to have done, especially if you’re just looking to move it (which includes the White Glove delivery service). It’s the best way to go about a large project like moving a mattress. Here’s the thing, Nectar understands that impulse, but you probably shouldn’t try it for a few reasons. Refolding a Nectar mattress is a bad idea for someone without their own industrial vacuum sealer — and that means pretty much everybody. (If you do have one… why?) 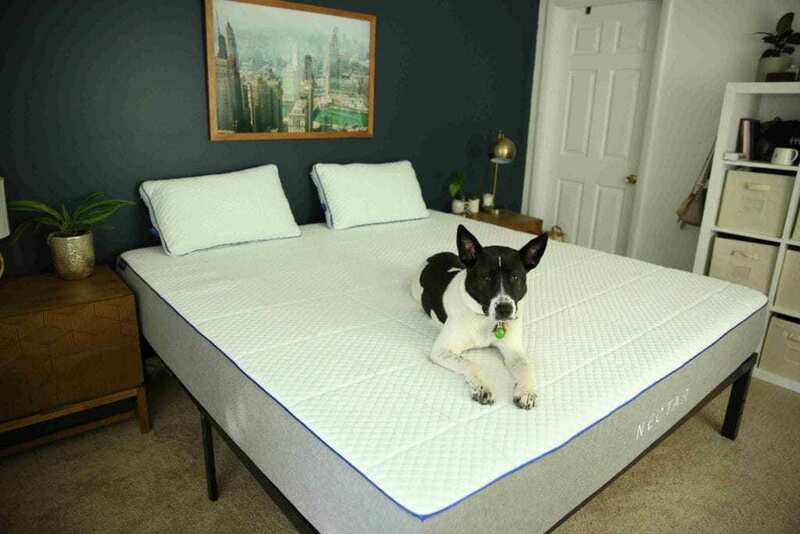 First, a Nectar mattress wasn’t designed to be refolded. What sets Nectar apart is its superior materials AND its design. This is what allows Nectar to guarantee their product with a Forever Warranty. When you mess with that mattress (even if you have good intentions), you might also be messing with the design that made you love it in the first place. Your comfort and support are Nectar’s number one concern, so it’s a good idea to leave the mattress as is. Another big reason: It’s not physically possible. When we fold our mattresses initially, we use a machine that compresses it to a crazy degree. That’s why it takes a little while to decompress after you receive your Nectar. How much pressure? Well, the initial compression process uses roller presses which compress the mattress with over 10,000 lbs of pressure per square foot for vacuum packing. We aren’t saying that you aren’t strong, but 10,000 lbs per square foot is a lot to muster, even for professional gym rats. While Nectar can’t recommend that you try to refold a mattress with the force of a thousand suns, we can say that we’re here to help you in other ways. The Nectar White Glove service can help you move your mattress (before its unpacked) to any room of the house, and will even pick up your old mattress and take it away for you. If you’re still trying to problem shoot in other ways, the Nectar Support Team is on hand seven days a week to answer any questions that might pop up for you. Nectar knows that buying, moving, and maintaining a mattress can be a big life decision for people, so Nectar wants to make that process as smooth as possible for everyone involved. Nectar is committed to excellence, customer satisfaction, but most importantly they are committed to getting you a great night of sleep on the best mattress out the gate, whether it’s your first sleep or your thousandth one. So stop stressing and grab a Nectar. You’ll get $125 dollars off, plus two free pillows. Plus, with White Glove shipping all the stress of unpacking becomes a thing of the past.